Airtel Nigeria would be joining MTN in offering the new Blackberry Q10 to pre-order on it's website soon. 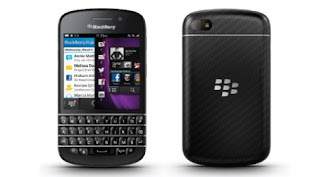 Details obtained from a page on their website shows that the blackberry Q10 would be offered to subscribers for pre-order at a price of N105,000 (about $650. The Q10 is the second device by Blackberry to come with the new Blackberry OS10 software and looks a lot like the Bold 9900 (Bold 5) but sports a bigger touchscreen.